Cobra Rudder System – STANDARD! 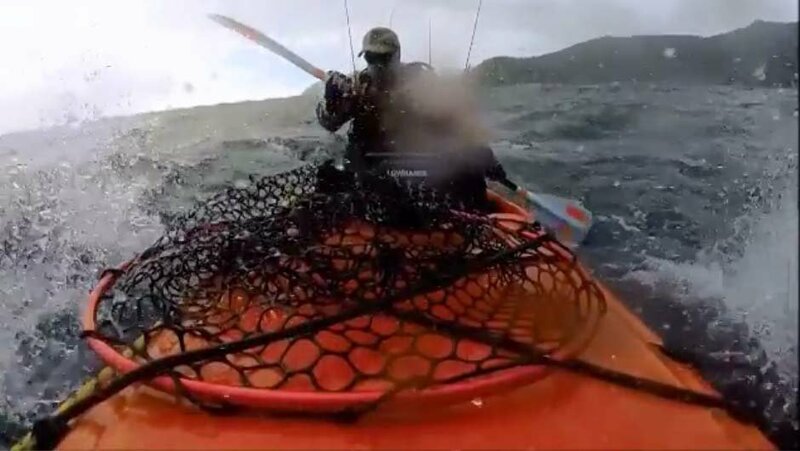 The Cobra Marauder is a pure performance fishing kayak from every angle and offers excellent initial and secondary stability as well as a super silent hull design for stealth paddling around easily spooked fish. The Marauder features ample rocker providing manoeuvrability and smooth paddling as well as stability during surf launches and landings, yet the keel design and tracking channels in the hull make for excellent tracking. Add to that a large user friendly deck design with self-draining foot-wells, forward and rear flush mounted rod holders. ‘Quick drain’ scupper holes provide for fast draining in choppy seas. The Marauder also features a center sealed tank well with a handy bait board/hatch.The Marauder is fishfinder ready with a scupper transducer slot.